Are we failing to provide high-level, life-saving care to patients with epilepsy? The manner in which epilepsy mortality statistics are handled strongly suggests so, according to Orrin Devinsky, MD, director of the NYU Comprehensive Epilepsy Center, and colleagues.1 They assert, in an article published in Neurology, that, not only are we playing catch-up in our understanding, documentation, and prevention of sudden unexpected death in epilepsy (SUDEP), we are attributing the bulk of epilepsy-related deaths to other causes. They argue that, without a clear grasp of mortality statistics among people with epilepsy, optimization of management is stymied. 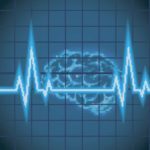 “Without accurate tracking of epilepsy-related deaths, such as SUDEP, we will never be able to assess the efficacy of interventions to reduce these deaths,” Dr Devinsky told Neurology Advisor. SUDEP is second to stroke as the leading neurological cause of lost years of life but, in low socioeconomic groups, it may account for only a minority of epilepsy-related deaths. Further, the incidence of SUDEP in and of itself may be underreported. Diagnosis of SUDEP is generally only made in persons with a documented history of epilepsy when no other direct or tangential cause is identified. However, in many jurisdictions, SUDEP cases are infrequently identified. Dr Devinsky and colleagues point out that epilepsy-associated deaths are caused by a wide range of circumstances. Besides SUDEP, direct causes include status epilepticus, drowning, and falls and other seizure-associated accidents, including motor vehicle accidents. Other direct causes include acute seizures following stroke or related brain trauma as well as seizures secondary to autoimmune disorders, such as multiple sclerosis. Indirect causes include aspiration pneumonia, suicide, and cardiovascular disease that may be exacerbated or caused by antiepileptic medication. Epilepsy, however, generally fails to be factored in even when a seizure is documented just before death. This oversight impacts epilepsy research for lack of true insight into mortality and generalizable standards about its measurement across research studies.